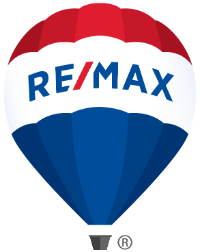 RE/MAX of Alamogordo, Ltd. is a full-service real estate company with four professional agents. RE/MAX of Alamogordo Ltd. is consistently among the top office in Alamogordo. We compete with offices comprised of 25 agents or more. All of our agents are top producers. Per capita individually our office sells more real estate than any other real estate company. At RE/MAX of Alamogordo, Ltd. all our REALTOR’s are full-time agents, exemplifying the dedication they have for “getting the job done”. To be specific, at RE/MAX of Alamogordo, Ltd. we put you first! RE/MAX of Alamogordo, Ltd. puts the client first. Our goal is your goal. We pride ourselves on honesty, professionalism, integrity and service to all of our clients and customers. Besides the commitment of each individual working there. Every person is dedicated no only to personal success, but to the overall success of the company and to the successful outcome of all real estate transactions. RE/MAX of Alamogordo, Ltd. has a mentor-ship program, sour experienced agents can teach new agents to become fully trained, professional, ethical agents–continuing the RE/MAX tradition and expectations from the founder and current owner of RE/MAX International. RE/MAX agents nationwide give to Children’s Miracle Network and we are supporters of the Susan G. Komen Foundation, a breast cancer awareness foundation. We also support little league baseball, First Robotics, Member of Chamber of Commerce and many other community programs.